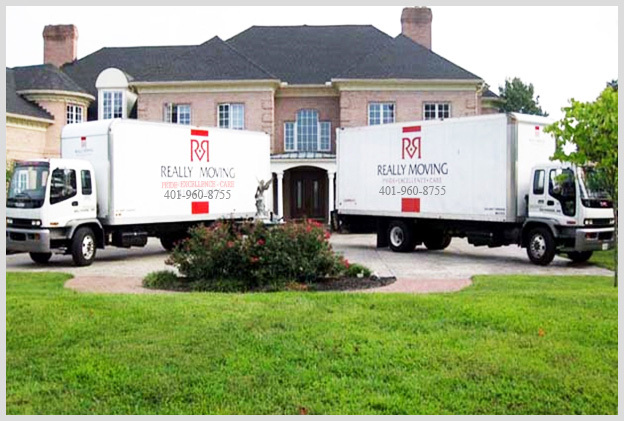 With over 25 years of experience, Really Moving, LLC brings pride, excellence and care to your moving experience. No matter how large or small the project, our company is prepared to fully service all of your relocation needs at an affordable price. We are fully equipped to move a single piece, a large estate or an entire office. Really Moving has consistently displayed the expertise and skills needed to place us at the top of the moving industry. Our staff of well-trained professionals is committed to handle your valued possessions with the utmost care. Really Moving offers a full range of high-quality service, including full packing and unpacking, moving supplies, local and out-of-state moves as well as hoisting and other specialty options. Our customers can relax and leave the stress and physical labor of their moves to our staff. We have the tools and resources necessary to handle the most challenging situations and to ensure a seamless transition whether a piano or pool table, an apartment or an office move, Really Moving offers simple solutions combined with the highest quality care. Some of our customers include the finest antique stores, art galleries, consignment shops and retirement communities in the Baltimore/DC area. We are very proud of the friendly, affordable and excellent moving services that our customers experience when working with our company. Let Really Moving satisfy all of your moving needs! Really Moving has maintained an outstanding reputation with the senior living communities in the Baltimore\DC area. We have helped thousands of new residents make successful and memorable transitions into their new homes. 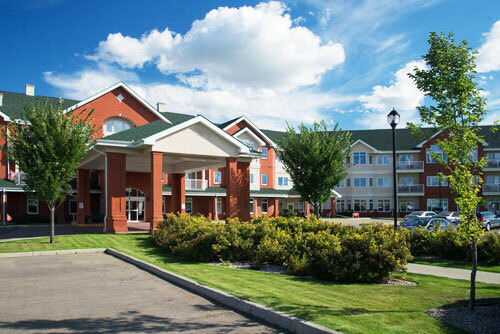 Whether it's to an independent campus or an assisted living residence, we understand the complexity and logistics necessary for an efficient, stress free and affordable move. We tailor each move to fit the customer’s unique situation while taking the arduous task of moving out of your hands. We will work closely with move coordinators to make your move a true success. When it comes time to move, our customers have relied on us for our experience, professionalism and affordable pricing. We will schedule your move to fit your timetable and will take care of the loading, transportation and unloading while offering packing and unpacking services as well. If your new home is not ready we have the capability to put your items into storage until it is. Whatever your moving needs, our job is to take the stress off of your hands. No concern is too small and no request is too large. Really Moving has encountered many complicated moving situations. 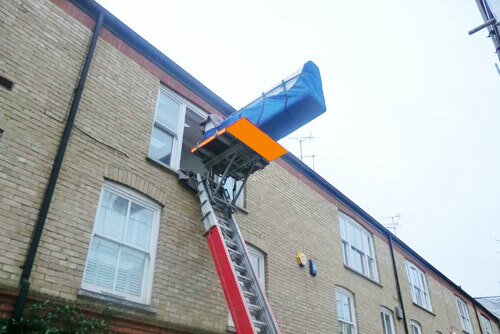 We are experts in hoisting, a method of moving furniture into a house or office through the roof or balcony when a piece of furniture is too large for the elevator or stairs. We have been called many times for this service after other companies have refused delivery or left the item in the garage. 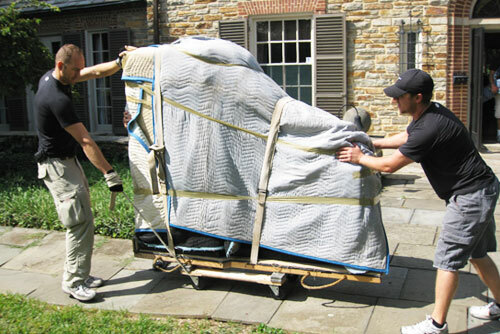 We are also experienced in moving larger specialty items such as gun safes, upright and grand pianos. Really Moving is ready to help even when the items are no longer needed. 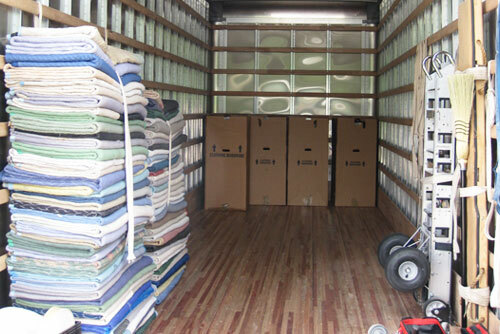 We understand that the moving process is the best time to clean and discard what is no longer needed. Whether you are moving or simply cleaning out your garage, we offer our disposing and donation services for a reasonable fee. "You moved my 87 year old mother from her residence of 58 years to Mercy Ridge. This was a stressful and remorseful time for her. Your crew not only treated her with the utmost respect but was very conscientious with her emotions and what she was going through. You did not rush her and were very patient. Your company and crew restored my faith that there are truly organizations out there that believe in offering a quality, professional, courteous and respectful service." "I wanted to thank you and your wonderful men for making our move such a pleasant experience. Each and every one of them was polite, courteous, helpful and took great care in protecting the walls and my family's fine furniture. It’s been 20 years since you first moved me in 1994!" "Thank you for such an excellent moving job. You were all outstanding as I knew you would be. I have passed the good word through Brightwood." "You were all so professional, helpful, pleasant and speedy. You made my scary day a day of joy! I don’t have enough words to say thank you!" "Words cannot express my deepest thanks to all of you. All of the men were friendly, professional and more importantly, efficient. This was an absolute pleasant experience. I can't thank you enough and I have mentioned your company's name to many people and recommend you highly. You are gems!" Place labels or colored post- its on any items not to be moved. Reserve parking for our trucks at all locations. Create a floor plan of your new home. Prepare a bag of personal items that you will need for the day/night of your move. Unplug and remove contents of all appliances including disconnecting gas and water lines. Transport live plants in your own vehicle. Do not worry, we will be able to help you transport the large plants. Start packing several cartons each day as soon as you decide to move especially if you are doing all the packing yourself. Be sure that the items you pack won’t be needed before you move. By pacing yourself you will be more organized and the job won’t be so overwhelming. Begin packing in rooms that are used the least to avoid disruption to your daily life. Separate breakables and non-breakables. How do I pack my china? China is delicate and highly breakable and requires extra care to avoid breakage. Wrap china in packing sheets and place balled up sheets at the bottom of the box for cushioning. Wrap each piece of china individually. For plates, wrap up to three pieces, placing paper between each item, bundling with a double layer of paper. Place the items in the carton so they are standing up. Add two to three inches of crushed paper on the top so there are no unfilled spaces. Smaller plates or bowls can make up a second layer wrapping and packing the items in the same way as the larger items. On the top and front of each carton, write a general description of the contents and indicate the room the box will be going to in your new home. This will help expedite the unload. Can I use any boxes I have? Use clean cartons designed just for moving. Boxes obtained from grocery or liquor stores are not always clean and may not withstand the weight of the items you will be putting into them. Odd size boxes tend to make loading more difficult while using substantial size boxes (liquor size and larger) are much easier to handle. Always be sure to label boxes according to the room they will be going to. Some common household items cannot be included in your shipment because they are hazardous materials. Examples of these materials include flammables such as paint, varnish and thinners, gasoline, kerosene and oil, bottled gas, aerosol cans, ammunition and explosives, corrosives, cleaning fluids and detergents. Small boxes (1.5 cubic feet) are the best for dense items like books, canned goods, documents, CD's and DVD's. *Any boxes that do not meet these dimensions should be consolidated into larger boxes. Medium boxes (3.1 cubic feet) work well for dishes, cookware, small pictures and small kitchen appliances. Large boxes (4.5 cubic feet) are mostly used for light items like linens, lamps/shades, medium sized pictures, and pillows. Note: Use plenty of paper/bubble-wrap cushioning for the bottom, top and around all fragile items. Tip: It is not recommended to use newspaper for packing. Regular newspapers are messy and can stain your possessions leaving your fingers and hands hard to clean as well. How to use tape to seal boxes? Please do not fold the bottom and/or top to close your boxes. Tape the bottom and tops of all the boxes with packing tape, not masking or duct tape. Failing to use proper packing tape can be potentially unsafe for your household goods. Fill boxes completely w packing paper. Using packing paper (not newspaper) generously will minimize the movement of the articles in the boxes. Create buffer layers of packing paper starting at the bottom and surrounding the contents. Is taping furniture a good idea? It is not recommended to apply tape directly to polished or painted wood finishes. Removing the tape can potentially ruin the surface of the furniture. What should be done with dresser drawers? Please leave drawers in dresser. Emptying all dresser drawers is not necessary; however, we do ask you to pack everything with the exception of linens and clothing's. This will minimize small items being lost or broken. Note: Contents packed by customers can not be covered by our insurance.